What can be better than a spectacular and restful Honeymoon in Andaman, among the never-ending treasure-trove of pristine beaches, aquamarine waters, and lush green forests! This Union Territory is rated as one of the best romantic getaways for newlyweds, Andaman is synonymous to paradise on the Earth, a magnificent destination where you can relax your body, refresh your mind, and rejuvenate your spirit with your partner. 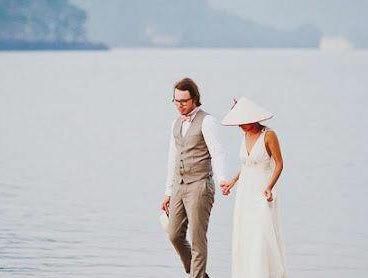 This unique archipelago offers you more than just lazy beaches and exotic scenery, it offers you the right setup to let yourself loose and undo the weeks of stress that of wedding euphorias usually create. We at Andaman Bluebay Holidays offer you a range of Andaman Honeymoon Tour Packages specially crafted for newlyweds to make their stay a enticing experience. If you are planning to do something truly unique while in Andaman, then check out our exclusive Honeymoon packages. You can be sure of taking back with you memorable moments, that will last a lifetime! Baratang Island, 100 kms away from Port Blair, is located between South and Middle Andaman and is famous for its limestone caves. Limestone caves of Baratang are off the beaten path from most of the touristy things which make them a treat to watch. These caves form interesting structures and offer a splendid sight to explorers. Dense Forest, Mangroves, Tribes, Dongi rides, beaches, caves, birds, and trekking, Baratang has all of these to offer and add in your Andaman Honeymoon. Avail a trip to this exotic island and become a part of the tropical side of the Andaman Islands. Parrot Island is another exotic element of Andaman Nicobar Honeymoon Package filled with a diverse range of Mangrove trees as these trees seem to be evenly cut, making them look like a man-made Mangrove garden. This island's get its name due to the fact that parrots and parakeets find this island absolutely enticing and you can see thousands of them gathering at sunset. Last but not the least, the sunset at Parrot Island is a view to die for, as it beautifully sketches the crimson line where the sea and the sky meet marked and also marks the timing for the arrival of flocks of parrots and parakeets. Havelock Island offers Asia’s best beaches that are renowned for swimming elephants and unbeatable reef. While you're here, enjoy white sandy shores with crystal clear beaches in calm, relaxing environment and also indulge in crystal base boat rides, snorkelling, and more to explore the coral life of this region. Exotic and stunning beaches like Radhanagar Beach, Elephant Beach and Kalapathar Beach become an amazing addition to the Andaman Honeymoon Packages. You will surely hear your heart beating with the thrill of suspense as you tour this island. Surrounded by incredible natural beauty, it is the only active Volcano along the chain from Sumatra to Myanmar and also the only active volcano in India. Even though uninhabited by the human population, attractions like Manta Rays, fascinating basalt formations, topography of previous lava flows and fast growing coral gardens lure visitors from all across the globe. 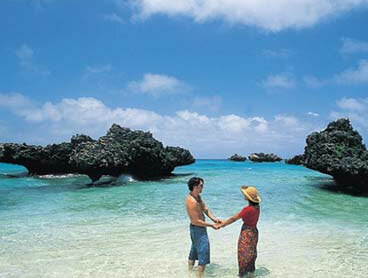 Andaman Tour Packages for Couple will exclaim you with beauty at every step! Fall in love with the magic of God. Get inspired, get greedy, fall in love with your partner in the serene ambience of the Andaman and Nicobar Islands. 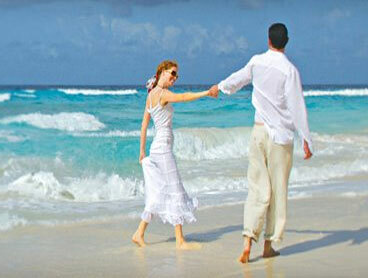 We ensure memorable time for you in Andaman with our premium Andaman Honeymoon packages. We chose Andaman Bluebay holidays to celebrate our 1st year anniversary which turned out to be a fabulous one. Special thanks to Sashi/Team who co-ordinated everthing as per our needs and convenience.Wish you and your team Good Luck in all the future endeavors. It was a nice experience having chosen Andaman Bluebay Holidays for honeymoon. Sashi organised it well. Timing was very well maintained. No where we encountered any hassles. They took care of everything (We forgot to take our camera, he arranged it in no time). Not even a place mentioned in the itinerary was missed. Thank you Andaman Bluebay Holidays for a memorable trip. Andaman Bluebay Holidays offers best Andaman tour and travel packages includes airfare and hotel booking.